The Sheep Ranch site for the new Bandon Dunes golf course. A big-time expansion appears to be coming to one of the world’s premier golf destinations. Bandon Dunes Resort in Oregon is set to add a fifth championship golf course to its stellar existing set of tracks. 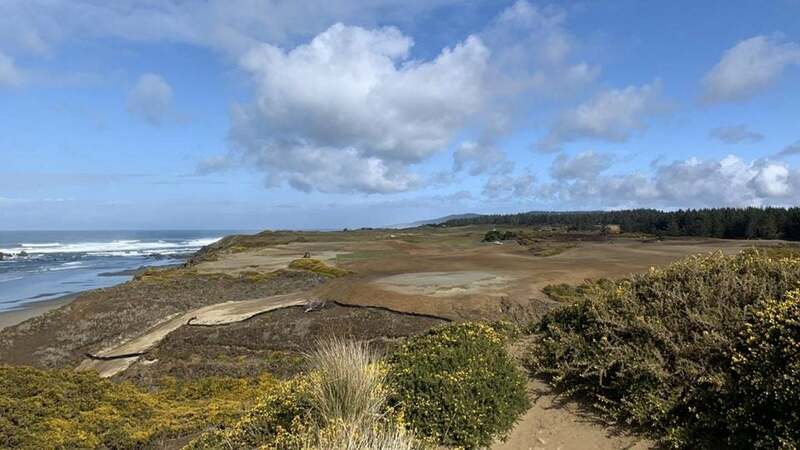 The long-rumored course on the Sheep Ranch property at Bandon is a go. Not only that, but the famed golf architecture duo of Bill Coore and Ben Crenshaw have been tapped to build the new course. A new website for the course describes it as “Golf’s most mysterious course” and says it will open to the public in 2020. While it doesn’t hug the sea like its two older sibling courses — Bandon Dunes and Pacific Dunes — Trails snakes through native dunesland, pine forest, and linksy meadow plains. Pacific Dunes, which was designed by Tom Doak, is often considered the top course at Bandon, and it earned No. 26 on our list of the Top 100 Courses in the World. Unlike Bandon Trails, Coore and Crenshaw’s new course will sit on the ocean, with an alleged greens butting up against the sea and all 18 featuring ocean views. The idea for a new course sprung from a failed Bandon course project that was stymied by environmental concerns. After that disappointment, Bandon developer Mike Keiser quickly moved onto plans for the new Sheep Ranch course. The Sheep Ranch land is located adjacent to Bandon’s fourth 18-hole course, Old Macdonald. Tom Doak built a rough, 13-green layout on the Sheep Ranch property 15 years ago, but the mysterious track is known by few and played by fewer. It is owned by Keiser but was not officially affiliated with Bandon until now. If it does go through as planned, it will be the fifth championship-caliber course at Bandon, in addition to the resort’s Bandon Preserve Par-3 Course and the Punch Bowl putting track. Course Rater Confidential: What’s the one design change you would make at Augusta National?